This new print was a collaboration between my dear friend Suzy Lee of Dear Darling Calligraphy and I. I have admired her lettering for years now, so we decided to join forces and do a series of prints together with some of our favorite quotes. “Leave the Old” is first up. It is available in my shop as an 11X14 print. I hope you all are enjoying a very special Thanksgiving with your friends and family! *congrats to Sara Byrd, Megan Bain and Ginny Chase on winning the Artifact Uprising giveaway! We will be emailing you soon! A few weeks back we worked with our super talented friends Alex and Alejandra on a branding video for Lone Flag. They are dream team of cinematography and art direction, and we were so lucky to collaborate with them on this project. They did such an amazing job capturing the space and our heart behind it. We feel really blessed to have this footage to look back on and remember this time in our lives. Sam wrote a bit more in depth about his story with the shop and his purpose and vision behind it over on the Lone Flag blog . We also have finally launched our online shop! We are just at the beginning stages of this journey and appreciate all the support we can get! Every visit and purchase means so much to us! I am so proud of Sam for diving into this dream head first, but now we are just at the mercy of shoppers! So get your shop on! We’ve got some great holiday gift items for you or (mostly!) your guy. Assuming it’s pretty much all ladies reading this! ;) I know first hand how hard they are to shop for and I’d like to think we’ve got you covered! We plan to fill the store with a lot more product in the coming months as well (specifically in the women’s category). Baby steps though. Hope you’ll take a peek! I worked hard alongside JG Designs on the development Long Flag’s website. We worked together on the design and development of my own site a few months back as well. If you are interested in having us create a custom website for you or your business, feel free to email me! We are open to taking on more projects. 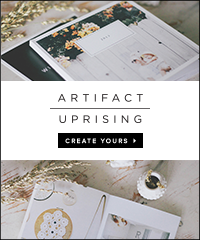 ARTIFACT UPRISING // IPHONE APP + A GIVEAWAY!! I came across Artifact Uprising a few years ago and was instantly hooked. They make the most beautiful high-quality photo books in a variety of options all using 100% post-consumer waste recycled paper. While “recycled” and “quality” don’t usually go synonymously, I promise these are some of the best on the market! (and I also just love their passion for protecting the environment). Last year, I ordered one of their mini soft cover books to document Rylee’s first year….I loved it so much I vowed to do it every year after. So far, so good. Lucky for us, AU just came out with an iphone app where you can create your own photo book straight from your iphone! You can download the app right here. It’s how I created my latest book. A perfect Christmas gift if you ask me! And in the meantime, download the app and play around with your options! Sam and I were lucky enough to sneak away this weekend for an anniversary staycation on Coronado Island. No babe, just us. We’ve been so caught up in the new shop and everything surrounding it that we’ve had little time for “us”. We’ve realized more and more that getaways like this (even for a day) are so vital for our relationship…and sanity! I’m coming back to work and reality today feeling really refreshed and inspired! And guess what! It’s finally sweater weather! (cue ‘happy dance’) This leopard number by Mink Pink is the coziest thing i’ve ever owned. And paired with my new Dittos jeans…they are both sure to get a lot of wear this winter. The holidays are creeping up on us quick you guys!